Well. Christmas is over, the packages open, the games played with, the sleepiness from too-much-food, the hugs and arguments and mess and cleanup and fun of Christmas was yesterday. Today it’s time to rest and relax and maybe, in the corner of your brain, think of where you’d like to go in the next year. For me, that includes upcycled and recycled items – you know the mantra: reduce, reuse, recycle. Everything we can do in that regard is good for the planet – or at least better for the planet. And it can be fun and fashionable too. Case in point: this yummy winter hat. One, it looks warm. I am a total yutz about winter (my idea of a GOOD winter day is one where I have to wear sleeves. Maybe socks) – so warm is an absolute requirement for me when it’s cold outside. Two, it’s cute. Three, and top of the list really, is that it’s upcycled. I found it at Glorious Morn – a terrific shop on Etsy which features vintage, upcycled, and handmade wearables. 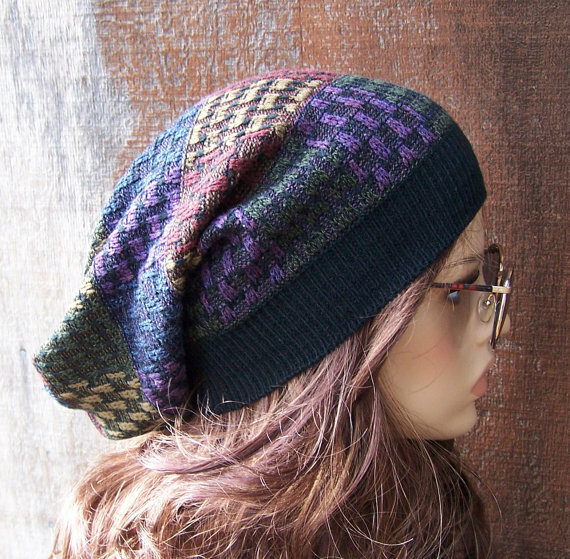 The artist-maker-shop owner, Sue, has lots of hats and scarves to choose from – all fun, cute, and upcycled. You’ll love them – and it’s cold outside. Go peek! P.S. 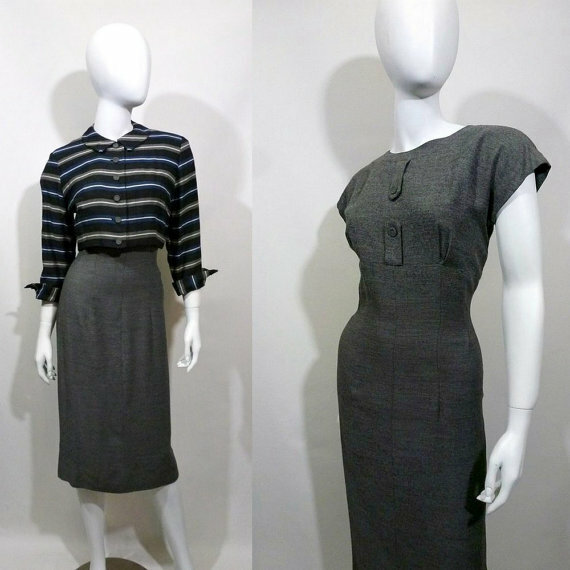 And then of course, there’s her vintage clothing… yeah, you’re going to have fun over there! Have a wonderful, warm, safe, fun and silly holiday! 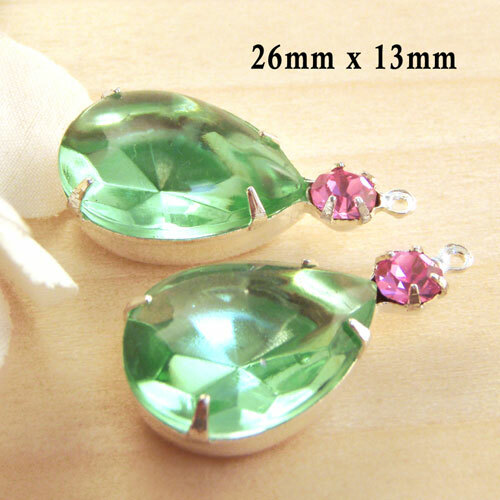 Actually the tiny pink stones are new – it’s the peridot green teardrops that are vintage. They’re called “buff top” because the faceting is actually on the bottom. It’s amazing how well it reflects the light – these are just beautifully made. 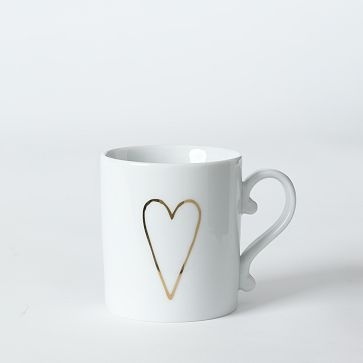 It’s not a new idea, but when I saw this mug, I had to re-mention it! I first wrote about the idea of drawing on a plate or dish over at my Paper Jewels blog. Check there for more details – but basically, you use a Sharpie, you write or draw on your mug, and you bake it in a slow oven for a few hours. Presto – the image is now permanent. The reason this mug inspired me (again)? It’s so simple – and heartfelt, no pun intended. You don’t have to be a great artist. You don’t have to be Careful, planning out a full recipe or poem to fit around the border. You just draw something you feel. A red heart. A funny lopsided unicorn. A bunch of stars. Anything that makes you – or your sweetie or your mom – smile. Then cook the mug. Then give the gift. This is DIY with love! P.S. I don’t remember where I found this image! I know, I’ve been bad about that. If you know the source, please tell me so I can give proper credit! P.P.S. And if you just realized you didn’t get a Christmas gift for (fill in the blank) – grab a plain mug out of your cupboard – and draw a Christmas tree on it. You don’t have to go to the mall – you don’t have to spend money that yo’re out of – and you made it with love (or at least guilt). This rocks! Holy toledo, this is a great dress. Yes, you could wear it right now – it’ll look great in winter, with high heeled pumps (of course) and maybe some oversized pearls. But I’m already thinking about Spring – and this fab dress will carry you right through Easter. Can’t you see it with turquoise lucite, or white, or bright red jewelry for contrast? And little strappy sandals on a warm spring day? (well yeah, high heels – but still, sandals). Maybe demure white gloves. This dress is available from One Trick Chassis – Classic Vintage Threads on Etsy and J.J., the shop owner, has some great finds over there. The guys’ suits – the red swing coat – the leather bags – well, you’ve just got to go look, that’s all. By the time you see this, Christmas has come and gone (or at least, you’re ready for it) – it’s maybe time for a small indulgence just for you. And, well, thinking about Spring. I was putting together an order yesterday, and it just happened to be mostly what I think of as “spring” colors. I think she was planning ahead! But as I looked at them on my worktable, I couldn’t help but think – how fresh and pretty they looked. It’s barely the beginning of winter, but spring is already calling to me. All colors have their own charm, and often you want clear crystal, or neutrals. But sometimes? A pretty aqua, or sparkling peridot green, can add just the lift you need on a gray winter day. And then when the sun comes out? Wow! 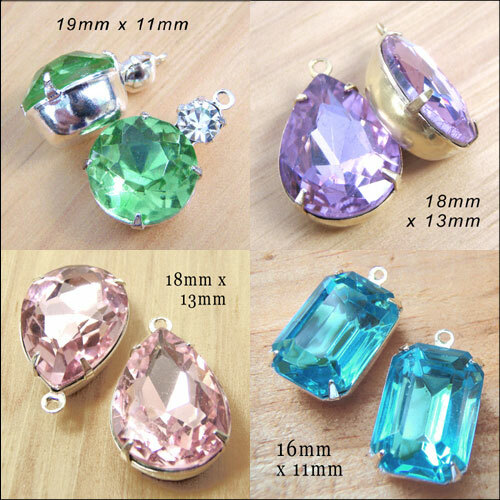 Valentine’s Day Earring Jewels. Also Christmas. Yes. Now this is a smart purchase, whether it’s for you or your sweetie. 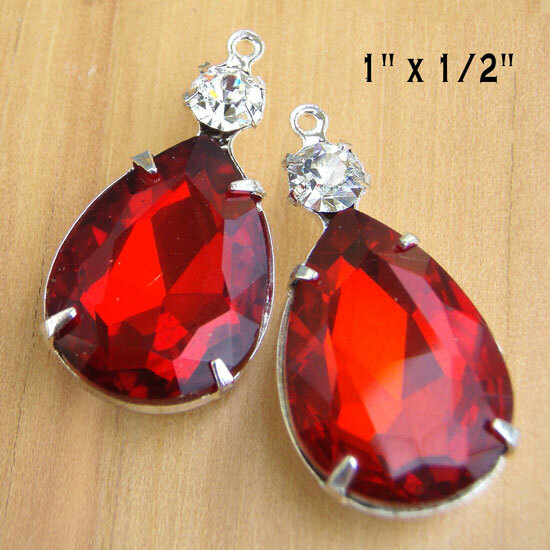 These pretty teardrop shaped glass beads are made with two sparkling rhinestones, in vivid red and crystal. They’re perfect for Valentine’s Day, which will be here before we know it. Vintage Christmas Part Two – Last Minute! Yes, this is a last-minute idea, when you’re ordering something online. 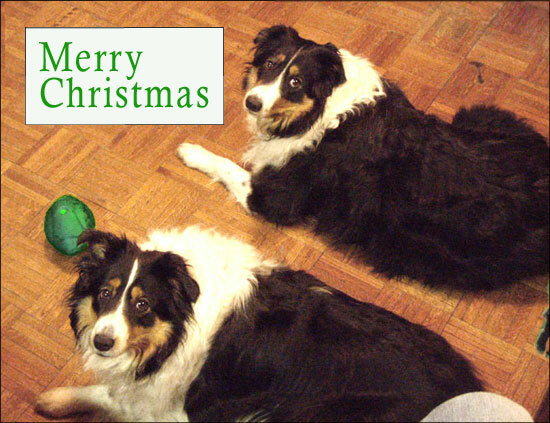 Well, practically last-minute (I’m not all that fond of waiting till Dec. 23, it’s too hard on the nerves). But I am a little obsessed with finding useful, functional, and of course vintage Christmas gifts for that special person. It’s a wonderful color – think how pretty sitting on your table, just because. Fill it with little candies – or use it for actual mixing – or in the microwave, or on your coffee table filled with pine cones, or, well, you get the idea. Gently loved – rescued from somebody’s basement or a forgotten thrift shop – and brought to life in your house. It’s available from Swans Neck Vintage on Etsy and you are totally going to thank me for finding this shop for you. She has more pyrex – yellow! and a wonderful vintage kitchen scale – and more. Go peek – and buy – you’ve still got time! That’s part of what Christmas is, to me. A touch of the past – a touch of hominess – a bit of imperfection. Place them on your tree, or on your mantel if you have one, or on your kitchen table. They’re available from Vintage PDX, on Etsy. 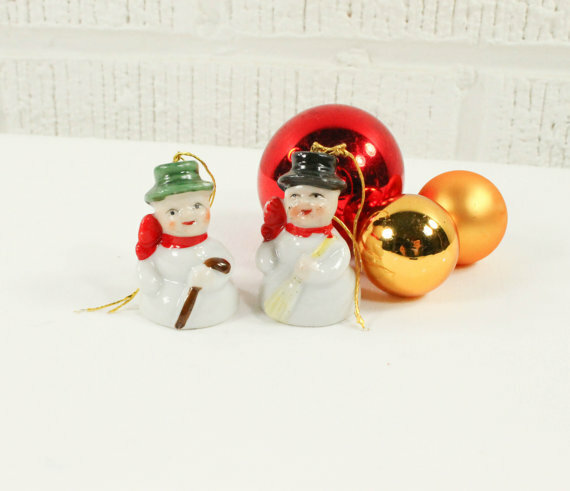 It’s a vintage shop with many charming Christmas goodies – the little chimney sweep ornament and Santa and Mrs. Claus caught my eye. I think you might find your special little Christmas ornament there, too.